4. 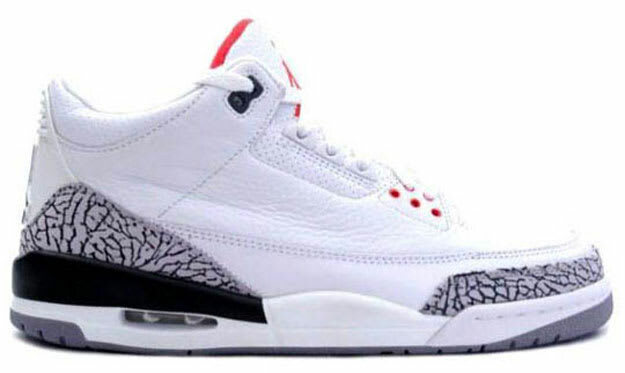 Air Jordan III "White/Cement"
Complex says: The shoe that saved Nike. No, that&apos;s not an overstatement. When Tinker Hatfield designed the Air Jordan III, Michael Jordan was somewhat fed up with Nike and considering leaving. By the time the presentation for the III (AKA the "Air Jordan Revolution") was over, he wasn&apos;t going anywhere. The white/cement III wound up being in one of the most iconic Jordan photos ever.